Beautiful 4BR/2.5BA home located in desirable Sunnyside with PRIVATE BOAT RAMP to Lake Harris. This must see stunner includes a NEW 15 SEER HVAC in 2016, a NEW ROOF in 2013, and a whole home WATER SOFTNER SYSTEM with reverse osmosis. 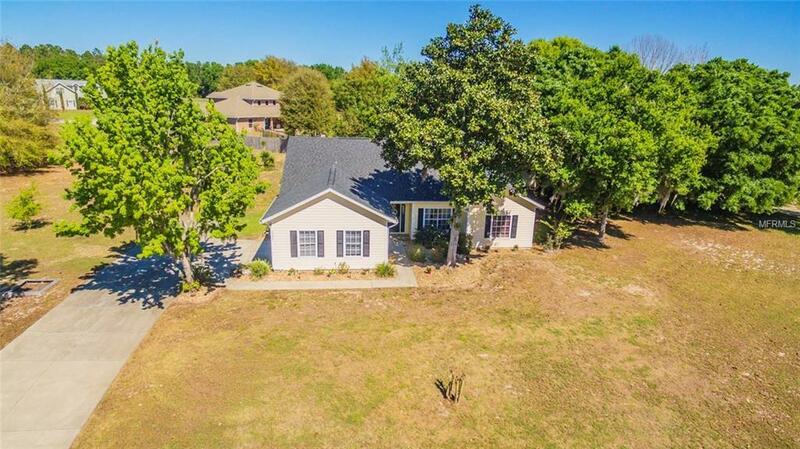 This home features a split floor plan with formal living & dining room highlighted by crown molding, ceramic tile floors, and updated light fixtures. The updated open concept kitchen boasts NEW STAINLESS STEEL APPLIANCES and flows seamlessly into the living and dining room with volume ceilings. The living room features a custom built wood burning fireplace with tile backsplash and center mantle with recessed entertainment port, including Polk Audio surround sound speakers. The den is located off the dining room with french doors leading out to fenced back yard featuring a wooden deck and outdoor shower. This home is priced to sell and won't last long. Bring your boat and get ready to enjoy weekends on Lake Harris. Call today to schedule a showing.